It’s easy to get carried away with statistics. Sometimes they can be misleading and distort the true outcome of a game. But when a team wins 54% of the possession, 55% of the territory, 100% percent of their line out ball, completes 92% of their tackles and kicks five from six at goal – there’s a pretty good chance that team won the game. That’s exactly what Wales did against France in the 2015 Six Nations. In short they got the basics right and it allowed them to rack up a winning margin of 20-13. Barring Dan Biggar’s exquisitely set up try in the 58th minute, it was a very simple, effective game plan built around a solid set piece, Biggar’s remarkable bomb and chase game, Leigh Halfpenny’s metronomic goal kicking and Jamie Robert’s thunderclap carrying. This was a performance in which every single player executed the role that they were selected for. 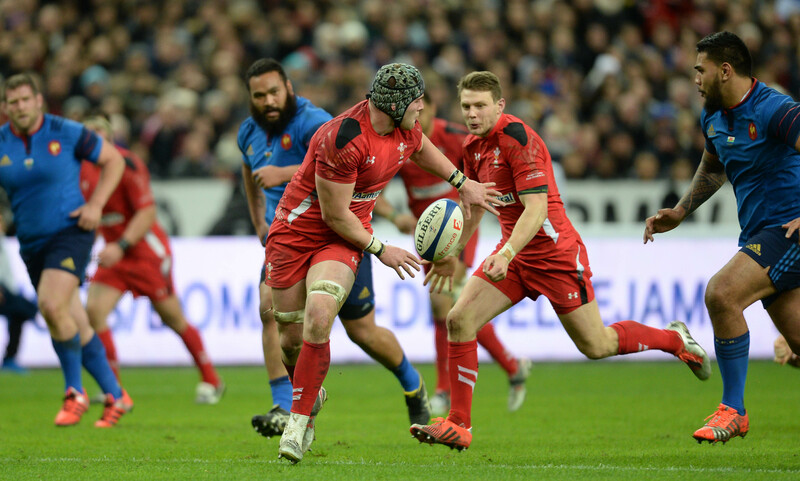 Samson Lee scrummaged superbly, Scott Baldwin threw accurately, Luke Charteris stopped the French maul, Jamie Roberts carried relentlessly, Dan Biggar improved Wales’ field position and once in position – Halfpenny kicked the three. Wales are back in this competition and suddenly Wales v Ireland in Cardiff looks like a big game. It was particularly pleasing to see Jamie Roberts execute so well in Paris. Not only because it allowed Wales to beat France for the fourth time on the bounce but because he did so in front of a Parisian crowd – in a city where he has, in the recent past, received criticism for his club form at Racing Metro. This was far from the case on Saturday. This was vintage Roberts, where at times he looked like a giant steak hammer pounding French meat. He carried the ball 11 times, more than any forward on either team, and effectively turned the gainline into the ‘Jame-line’. He carried for 24 metres in total, which may not seem much, but most of the carries were from first phase where the defensive line is perfectly aligned and a series of backrow forwards are ready to reinforce the ten channel. His defence and marshalling of the kick chase was exemplary. Towards the end of the game he nearly cut Rémi Talès in half – almost turning him into Semi Talès. The host broadcaster chose Morgan Parra as Man of the Match – but Roberts deserved the honour. A quick glance at Luke Charteris’ DNA would reveal that he is 95% human and 5% ‘Genus Architeuthis’ – or Giant Squid. His levers are absolutely enormous and their benefit extends way beyond his lineout work which incidentally helped Wales win 100% of their lineout ball for the first time in the last six games. Interestingly Charteris only took two balls himself but his decoy and lifting work gave Wales consistent lineout ball for the first time in this year’s championship. But it was his ability to almost single handedly wrap the French maul, with his arms, that made the biggest impact. 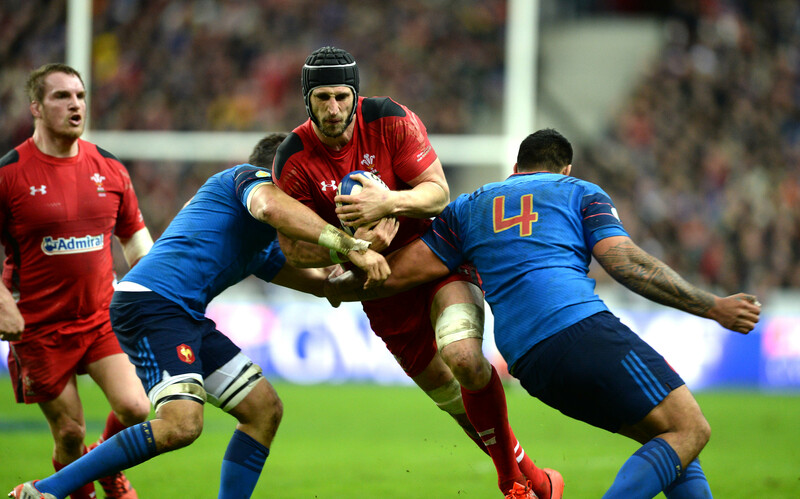 Charteris’ first action on any French lineout ball was to tie up the ball carrier at the back of the maul and make it difficult to alter the direction of the drive. Even if the French maul did manage to alter the angle of the drive they frequently found Charteris in the middle of their maul tangling up possession. It was a masterclass in how to stop a maul without dropping it illegally and one which Wales will require against Italy and Ireland. 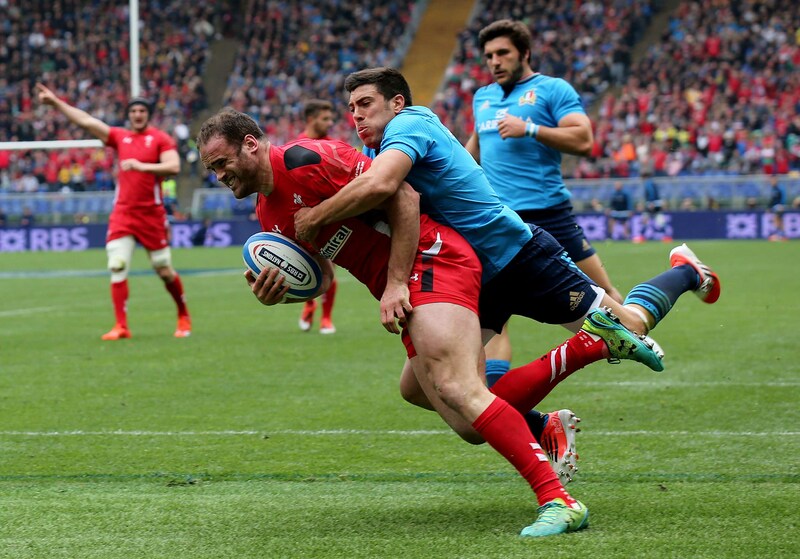 It’s usually Dan Lydiate’s shoulders and arms that receive the headlines. His tackling technique was once again impressive against France where he completed 12, missing just 1. But it was his hands which will be remembered after his performance in Paris. 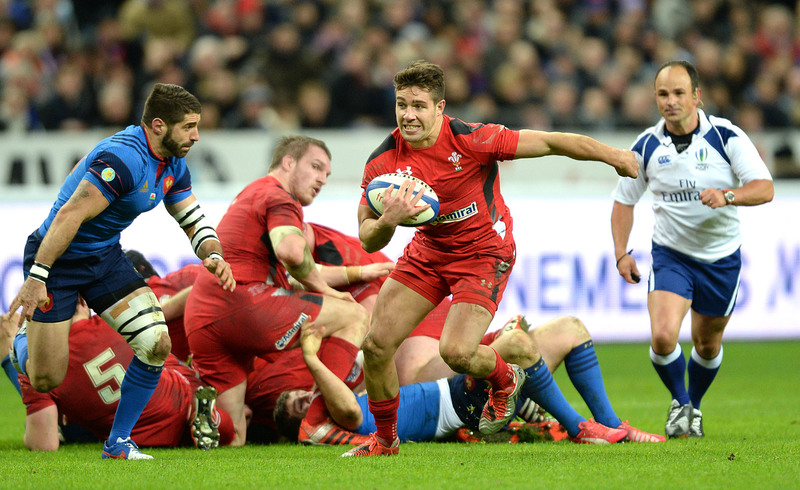 Having spotted Rhys Webb once again terrorizing lazy defending at the ruck, Lydiate stayed on Webb’s right shoulder, took the ball, spotted Dan Biggar running the angle and executed a pass that took two French defenders out of the game. It was a rare moment of subtlety in an otherwise destructive display from the Welsh pack. Lydiate is often regarded as a one trick pony. But after Saturday’s display he deserves to be upgraded to one of those Lipizzaner stallions that dance around the Spanish Riding School of Vienna. Well done Dan Lydiate. 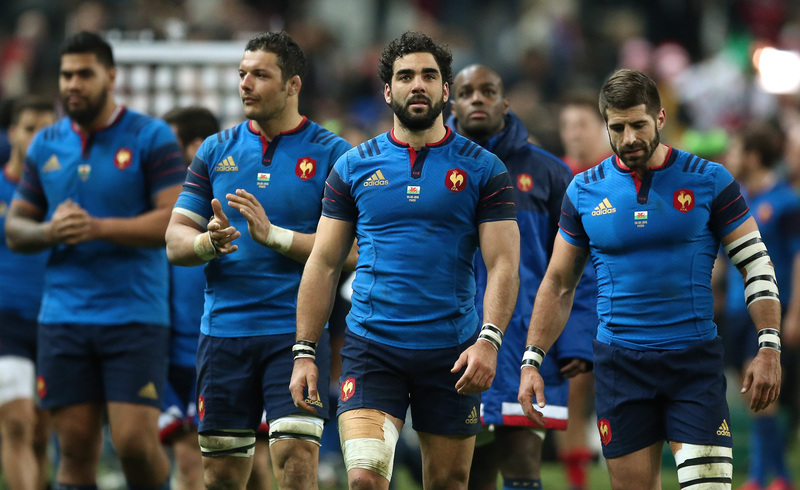 The current French national team is one of the great travesties of modern rugby. For a squad with that level of talent to perform so consistently poorly is embarrassing for a country with such a proud rugby history. It is even more inexcusable when you consider how much money is sloshing around French rugby. The Top 14 is dripping with TV money and private cash and is arguably as well placed as any nation in the world to produce a world class test team – currently the French national team probably wouldn’t finish in the top 6 of their domestic league. Many will argue that it is the very presence of so much money, the resulting influx of overseas players, and power of the Top 14 clubs that is hindering the national team – but that is overly simplistic. Lack of preparation time, as alluded to by Philippe Saint Andre, cannot alone explain France’s demise. It can’t explain why the French game plan revolves around an inside centre with more fat rolls on his neck than most backs have on their abdomen. France need to have a serious performance increase by the start of the Rugby World Cup otherwise, like in 1793, heads will roll. They should have rolled already.